Would you like to have some Goodies Delivered to your door? Here are our Items available through skip the dishes….simply click on the title of any item from this page and you will be directed to skip the dishes to place your order and have it delivered to your door! Baked almond meringues sandwiched together with our rich creamy buttercream in a large variety of flavors and colors. Delicate cookies sandwiched together with our apple raspberry jam hand dipped in our fondant icing. A box of our assorted individual Cheesecakes with flavors like Oreo, white chocolate raspberry, mocha, blueberry. A box of assorted cupcakes with flavors like chocolate ganache, Creamy Lemon, Vanilla Buttercream, and Red Velvet. A Goodies Bake Shop classic! Layers of chocolate sponge cake filled with whipped chocolate ganache, covered in liquid ganache. Please ask if you would like to add decoration or a special message to the top!! New York cheesecake with fine Oreo crumbs on an Oreo base. Sides are finished in whipping cream, top is finished in liquid ganache. Three layers of our famous red velvet cake filled and frosted in cream cheese icing. Decorated with real red sprinkles and fresh glazed strawberries. 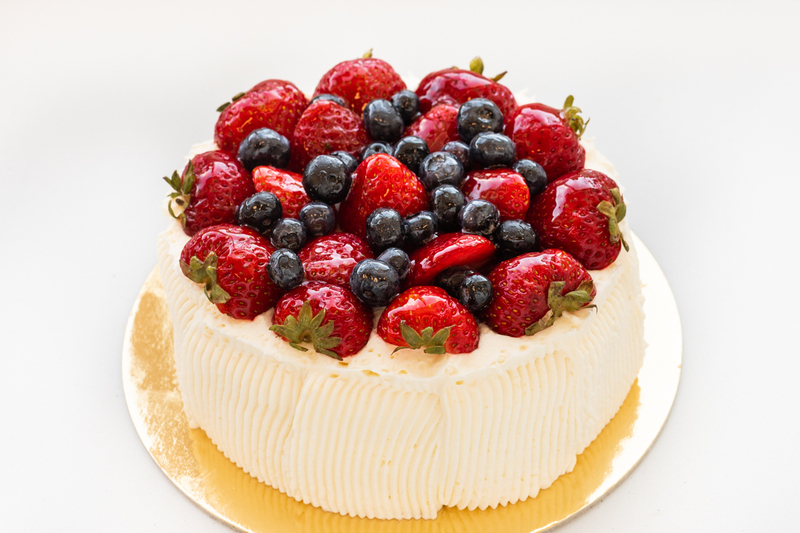 One of our most popular tortes! Layers of white truffle and lemon raspberry mousse, finished with whipped cream and covered in white chocolate curls. Layers of dark chocolate truffle and Belgian chocolate mousse. Finished with whipped chocolate ganache, dark chocolate shavings and liquid ganache. A New York style cheesecake folded with white callebaut callets, swirled with raspberry coulis and baked on a graham crumb crust. White chocolate curls and drizzled. Every box is a surprise! An assortment of delicious squares. Each box comes with six large pieces. Assorted fancy Italian shortbread all handcrafted with an assortment of nuts, chocolate, jam, and espresso. One order comes with twelve pieces. Mouth watering cookies! One order comes with six pieces. Made in house with real milk and cream available in half litres for the following flavours, please specify: Hazelnut, Green Tea, Salted..
Layers of espresso brushed chocolate chip cookies and whipped mocha cream. Finished with liquid ganache and chocolate chips. A Delicate handmade pie crust, filled with our homemade banana custard and fresh banana slices. Topped with whipped cream and banana chips. A delicate handmade pie crust, filled with apple filling, topped with coarse sugar baked to golden perfection. Serves 8-10 people. A delicate handmade pie crust, filled with blueberry filling, topped with coarse sugar baked to golden perfection. Serves 8-10 people. A delicate handmade pie crust, filled with cherry filling, topped with coarse sugar baked to golden perfection. Serves 8-10 people. A delicate handmade pie crust, filled with homemade Belgian chocolate mousse. Topped with whipped cream, chocolate ganache, and white chocolate. 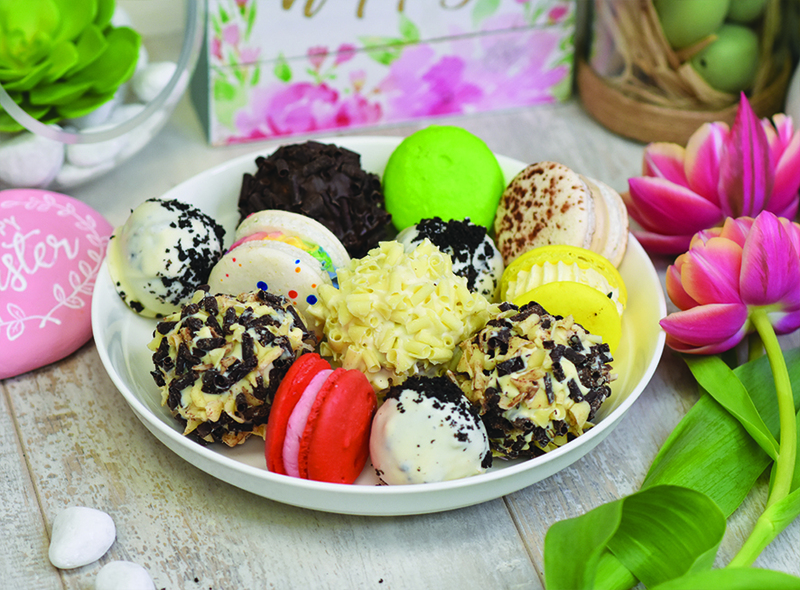 A dozen of Goodies most popular desserts you can grab on the go, truffles, rum balls, fudgeeos, and french macarons.